The hills and deserts of the southwest have been putting on quite a show this spring—a superbloom that’s better than some areas have seen in generations. Science Friday producer Christopher Intagliata headed down to Walker Canyon in Lake Elsinore, California, to check it out. There, the flowers are putting on such a show that there have been traffic jams, freeway closures, and swarms of frenzied flower seekers trampling through the orange poppy fields—a situation the city has called an “a-poppy-lypse.” In this story, we take a look at why these spectacular superblooms aren’t an annual occurrence. Never witnessed a superbloom? Visitors to Walker Canyon, California try to describe what they’re seeing. Alternatively, you can see the superbloom for yourself in some photos below. And if you’re interested in going out to see wildflowers this season, the Theodore Payne Wildflower Hotline is a good guide. 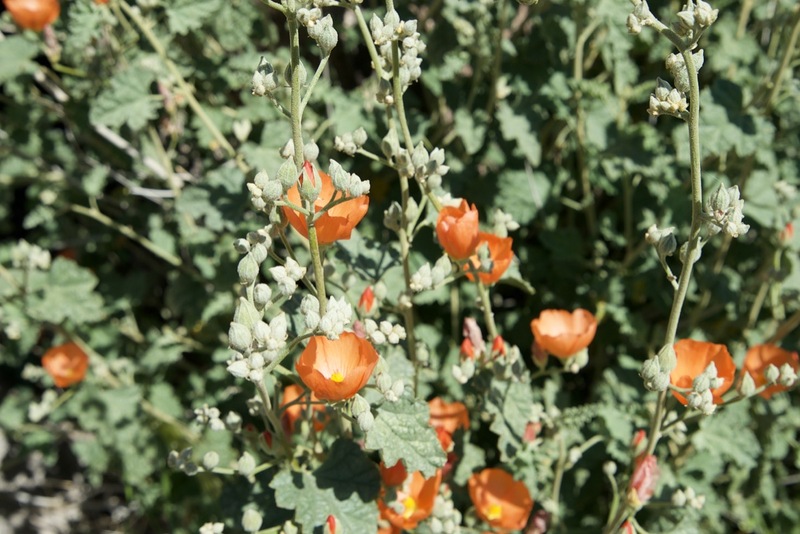 Thanks to Kristal Watrous of UC Riverside and Joshua Der of Cal State University Fullerton for their help identifying the wildflowers. Richard Minnich is author of California’s Fading Wildflowers. He’s a professor in the Department of Earth Sciences at the University of California, Riverside in Riverside, California. Carol Baskin is a plant ecologist at the University of Kentucky in Lexington, Kentucky. IRA FLATOW: This is Science Friday. I’m Ira Flatow. The hills and deserts of the Southwest have been putting on quite a show this spring– a superbloom that’s better than some areas have seen in generations. 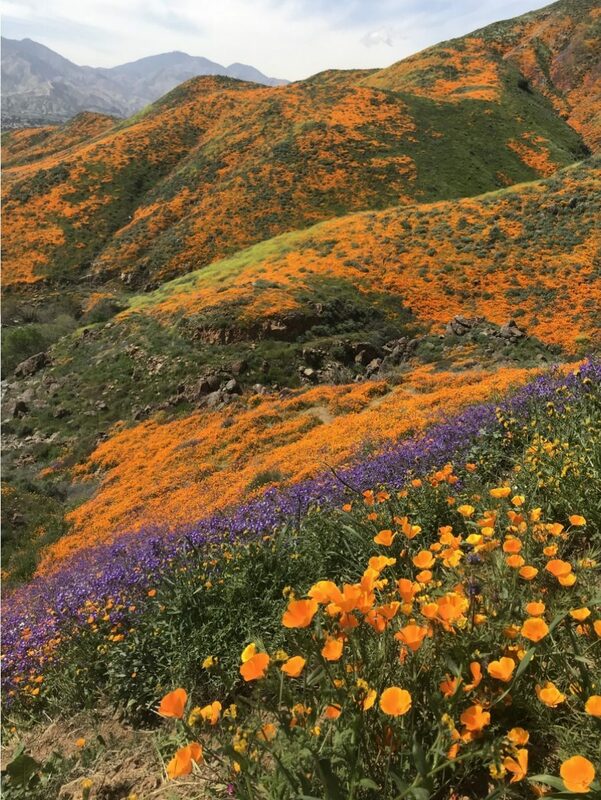 Our producer Christopher Intagliata headed down to Walker Canyon in Lake Elsinore California, where a bloom so spectacular is going on that there have been traffic jams, freeway closing– closures, and swarms of frenzied flower seekers trampling through the orange poppy fields, a situation the city has called an a-poppy-lypse. Senior Producer Christopher Intagliata paints the word picture. CHRISTOPHER INTAGLIATA: When I first arrived, it looked like a music festival– big traffic jam, lines of cars parked on the shoulder, streams of people walking along the road towards the big event. Then past the highway patrol barricades and porta potties and ice cream trucks, I saw the main attraction. SPEAKER 2: It’s like Dr. Seuss in real life. SPEAKER 3: Powdered cheese everywhere. SPEAKER 4: It’s on fire, but in a really good way. SPEAKER 5: Or Mother Nature just vomited 1,000 flowers. 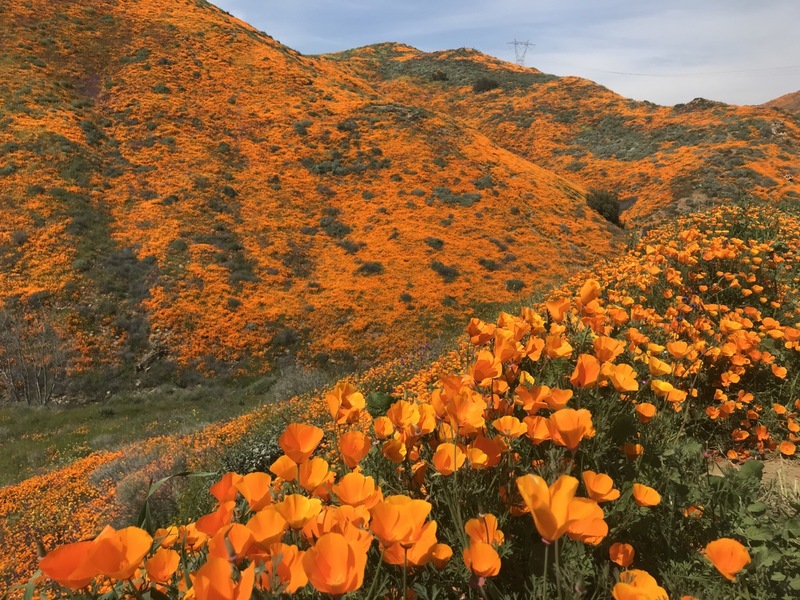 CHRISTOPHER INTAGLIATA: This year’s bloom has lit up California and the Southwest, laying down huge fields of flowers on deserts, plains, and hillsides. RICHARD MINNICH: Here in Riverside, I’ve seen it for 50 years. And this is the best I’ve ever seen. CHRISTOPHER INTAGLIATA: Richard Minnich is an ecologist and meteorologist at UC Riverside. He wrote a book called California’s Fading Wildflowers. RICHARD MINNICH: It is super, although all the other media try to say what defines super. And I said, it’s in the eye of the beholder. CHRISTOPHER INTAGLIATA: And while super may be subjective, the fact is big blooms like these don’t happen every year. It’s sort of like playing a slot machine. Three factors have to line up just right in order to hit the superbloom jackpot. The first, of course, is rain. Back in October, the remnants of two tropical storms soaked the southwestern deserts, making it the wettest October in Phoenix since record keeping began in the 1890s. On top of that, Southern California’s high coastal mountains usually pick off rain and snow from incoming storms. And that means there’s not much water left for the deserts to the east. CAROL BASKIN: It’s just fooling with you. I’m not interested. CHRISTOPHER INTAGLIATA: Many seeds need to bake in the summer heat to prime the seeds for germination in the next rainy season. 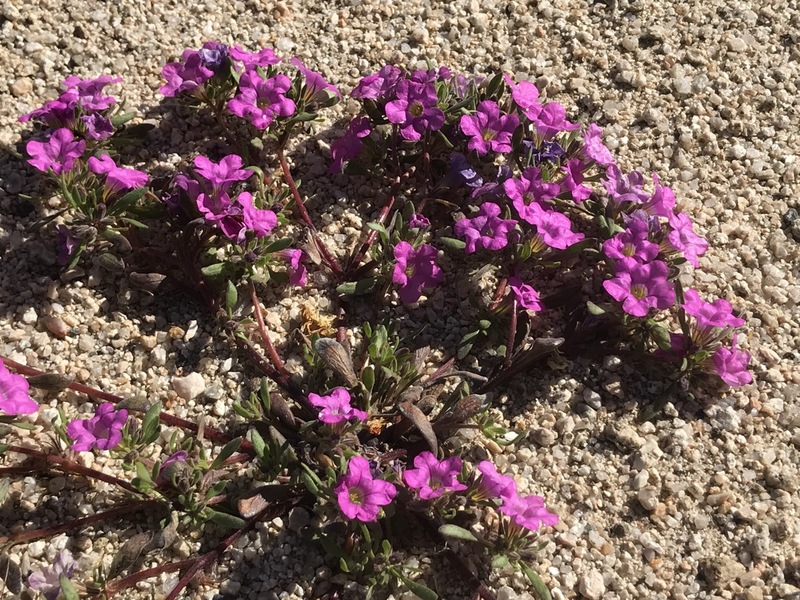 And the purple lupines carpeting the slopes of southern Joshua Tree right now actually have waterproof seeds. That means water can only enter when a very small spot of tightly packed cells called the lens opens up. CAROL BASKIN: So under the proper conditions the cells spread apart just slightly. So unless it stays wet for a fairly long time, it’s not enough water for the seed to germinate. It’s almost like a rain gauge. CHRISTOPHER INTAGLIATA: The poppies and verbena and primroses have a different kind of seed that’s permeable to water, but they’re picky about the temperature, some species germinate when it’s warm and wet, others when it’s cool and wet. And aside from stubborn seeds and variable weather, there’s a third factor at play– invasive grasses. In the mountains above Palm Springs, I saw dense pastures of a tall green tufted grass. 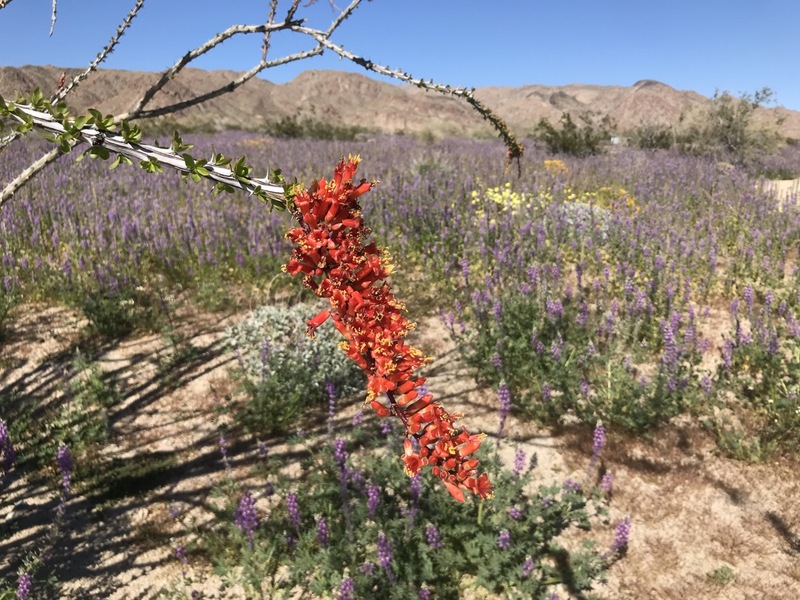 Richard Minnich, the professor at UC Riverside, says it’s an invasive grass from South Africa, just one of many that outcompete the state’s wildflowers. But there’s one thing that can take them down. 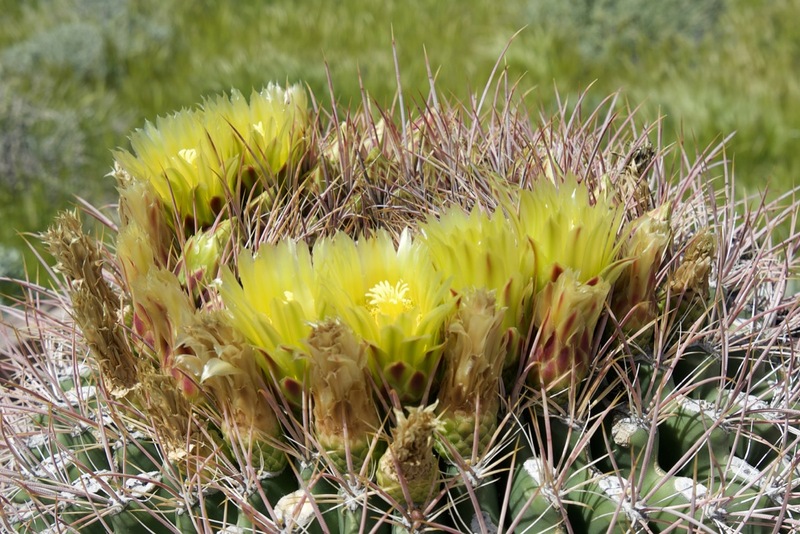 RICHARD MINNICH: You often get your greatest blooms the first year after a long drought. And the droughts punish the invasives and knock them down, thin them out– two crashes. So drought is our friend here. 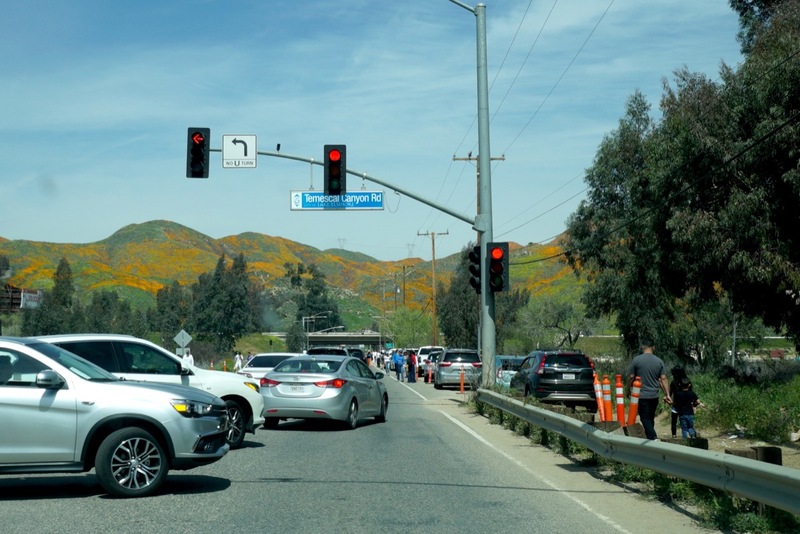 CHRISTOPHER INTAGLIATA: Last winter Southern California got only a third of its usual precipitation, which Minnich says thinned out the grasses and freed up real estate for this year’s wildflowers. So all those things had to line up– a dry winter last year, a prolonged wet winter this year, and the cooperation of temperamental seeds, all to let these wildflowers rise up against the odds to survive and hopefully to reproduce. But not all onlookers are giving the wildflowers the respect they deserve. SPEAKER 6: Look down there. That looks good. That might be a bluebell. 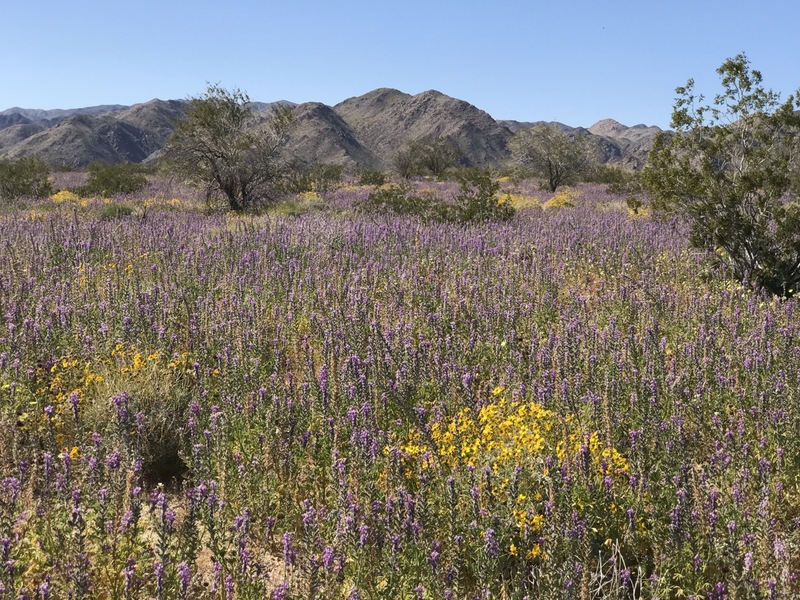 CHRISTOPHER INTAGLIATA: At Walker Canyon, I saw dozens of trails trampled through the wildflowers. I saw people picking poppies to tuck behind their ears and into their hats. Lots of the hikers I talked to like Sue who lives just up the road were concerned about people disrespecting the place. SUE: Just remember you’re in our backyard. And we do live here. And if you’re going to be able to enjoy this and it’s free and it’s here for everybody, you have to cooperate and stay out of the areas that they’ve asked you to stay out of. CHRISTOPHER INTAGLIATA: But if you think these poppy fields are just a casualty of the Instagram era, you should know that we’ve been loving wildflowers to death for a lot longer than that. In his book, Minnich has a clipping from the Riverside Press and horticulturalist, dated March 1905, which describes crowds of schoolchildren and tourists gathering poppies by the armload. Spare the poppies, the paper writes. And it continues, if the crowds of people and children who have been engaged in pulling up these beautiful flowers do not show more discretion, the poppies will not be there next year. In Los Angeles, I’m Christopher Intagliata. 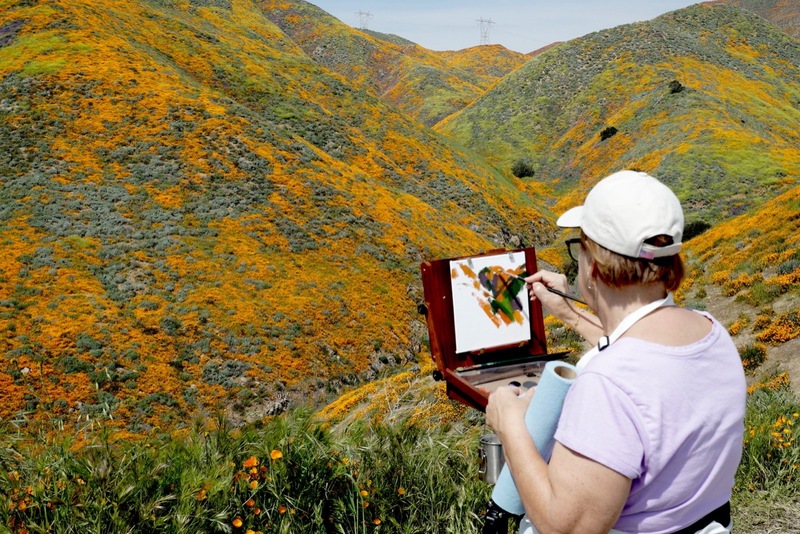 IRA FLATOW: There’s still time to see the superbloom. And it’s happening all over. 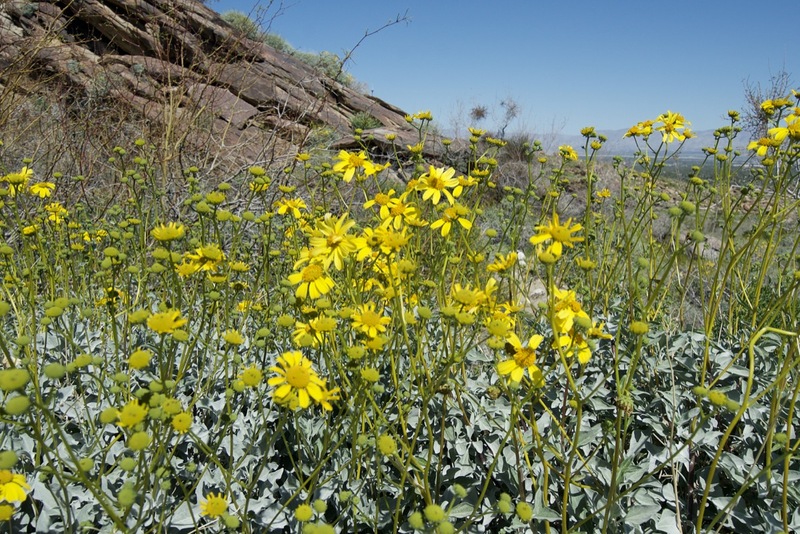 You can check our website at ScienceFriday.com/superbloom for photos and more information and on where to see wildflowers this season.